Welcome to Nepal! The Annapurna Circuit trek is as challenging as it is beautiful. 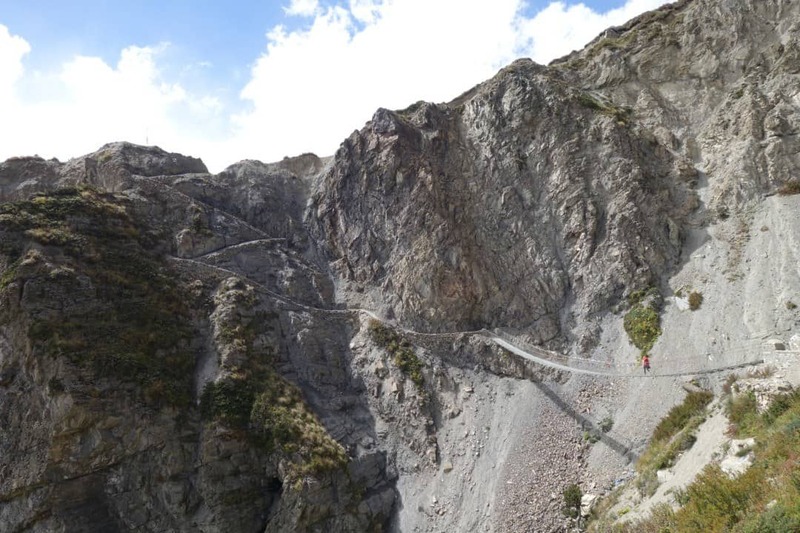 It is arguably still one of the best treks in the world which sees tens of thousands of people undertake it each year. If you open yourself to this experience, you will not be disappointed. 3) What About A Guide And Porter? Whether you are organising your trek from Kathmandu or Pokhara you will need to do some prep work to ensure your trek is a success. This Annapurna Circuit guide will provide you with all the information you need to make that happen! Ok, the Annapurna Circuit adventure awaits, so let’s get started! READ MORE – Don’t miss our brand new, ultimate guide to trekking in Nepal! 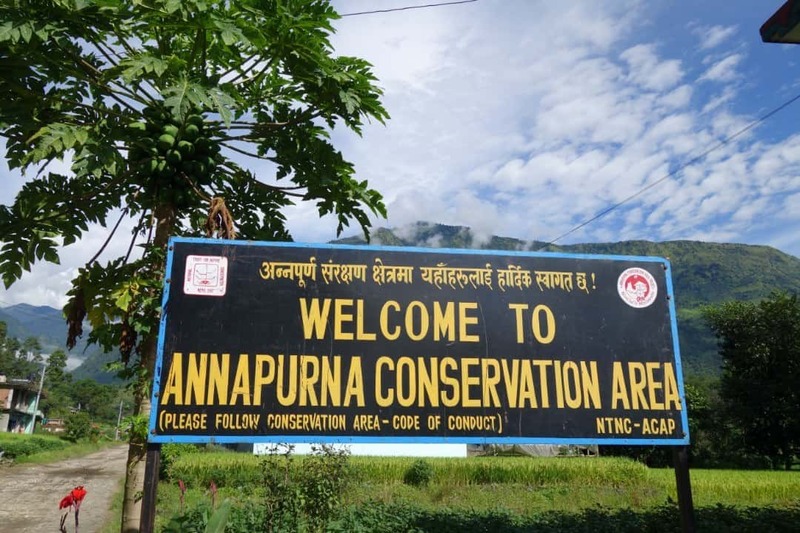 Welcome to the Annapurna Circuit! Distance: Route varies between 160km – 230km depending on start and finish points and optional side treks. Note – Initially we were traveling as a group of 6, then a group of 4, so we were often able to negotiate free accommodation as long as we bought food. This however was not the case for every group we met, so bargain hard! Travel Insurance: $128 – I would never undertake an activity like this without good travel insurance. I chose World Nomads and specifically added coverage for trekking altitude of up to 6000 meters. Read our travel insurance resource page here. 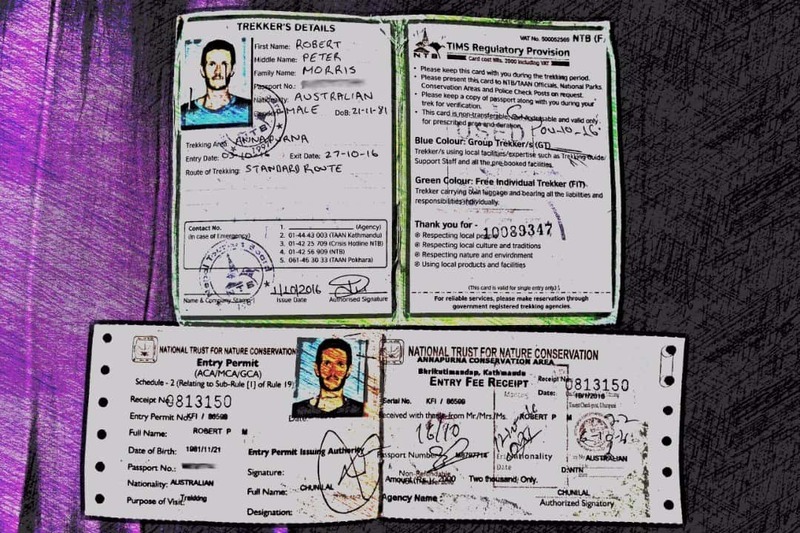 You will need to organise your Trekker’s Information Management System card (TIMS) and the Annapurna Conservation Area Permit (ACAP). You will use these to check-in at various checkpoints along the trek. Note, I can only speak from my experience in Kathmandu, but the process was fairly straightforward. Deciding on a guide is a personal choice. Your decision is largely dependent on your confidence and physical condition. The Annapurna Circuit is a well-traveled route so I found a guide was not necessary. I traveled with a group, and found whenever we lost our way, there were friendly locals to point us in the right direction. However, a quality guide can be very helpful. They know all the shortcuts, the best places to eat and can help you negotiate with lodging etc. Ok, so what about a porter? 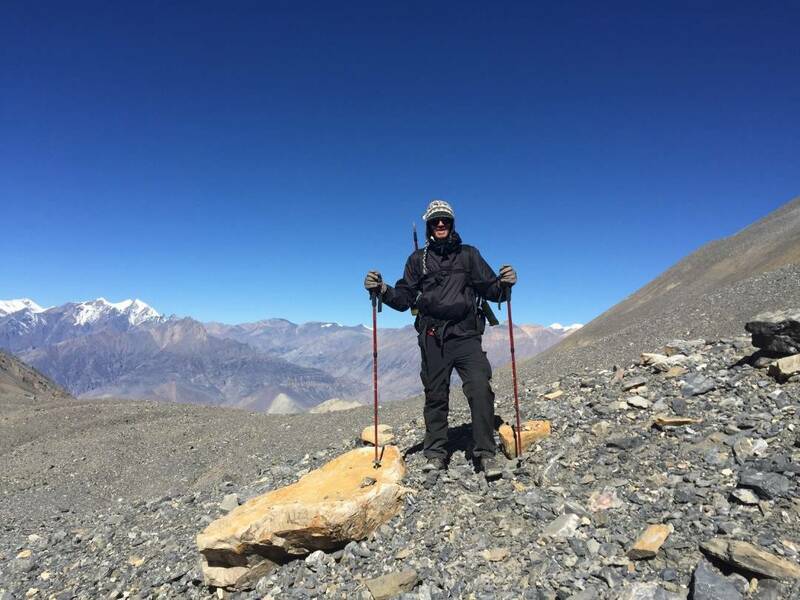 For me, part of the reward of completing the Annapurna Circuit, was carrying my own gear. Though I am certain people with porters feel just as accomplished. In the end, if you decide to hire a guide and or/porter you will be providing much-needed money to a local family, so you can’t go wrong. A guide should set you back around $25 and a porter $15 per day. Knowing what to pack for the Annapurna Circuit is pretty important. I’d advise you to get your money out in Kathmandu or Pokhara prior to heading off on your trek. There is no access to ATM’s until Jomsom and it is great not stressing about whether it’s working etc. In total for 2-weeks trekking, I spent 53,900 rupees or about $490 including purchasing my gear. On the trek itself, I spent roughly 2,336 rupees or $21 per day. I didn’t drink alcohol during my trek until after completing the Thorung La pass (celebration time). Beers generally cost 450 rupees/$4 for a large bottle, so if you’re planning to indulge, definitely take this into consideration. As I was backpacking my way around South East Asia prior to the trek, I didn’t have the clothes or equipment necessary to complete the Annapurna Circuit. I completed the trek with my 44 liter Tortuga backpack and I left my unnecessary gear in storage at a hostel in Kathmandu. I purchased a lot of the clothing and equipment in Kathmandu and have included the prices I paid to give you a rough idea. I found I was washing my clothes every evening during the early stages of the trek and about every second day later in the trek. I didn’t pack a sleeping bag, so without the layers (especially the thermal underwear) mentioned above it would have been uncomfortably cold sleeping at the guesthouses at higher altitudes. * If you have hiking boots and are travelling to Nepal specifically for trekking, bring them, as they will be better than running shoes. However, if you’re traveling like I was, you can do this trek in running shoes. Beware, you will get wet feet and may have to deal with snowfall at higher altitudes. While they rent boots for the trek, I wouldn’t suggest risking blisters unless you have sufficient time to break them in. Pack for all weather conditions! When completing a trek of this nature it is best to come prepared. Below are the items I recommend for this trek. I have added the quantities I took for reference. * Please consult your doctor before taking any medication and undertake your own research. Make sure you know what to expect for the Annapurna Circuit! From Kathmandu, take a bus to your starting point of Besisahar, the journey will take roughly 6.5 hours and should cost around 360 rupees or $3.50. From Pokhara, the journey should be slightly shorter and a little less expensive. 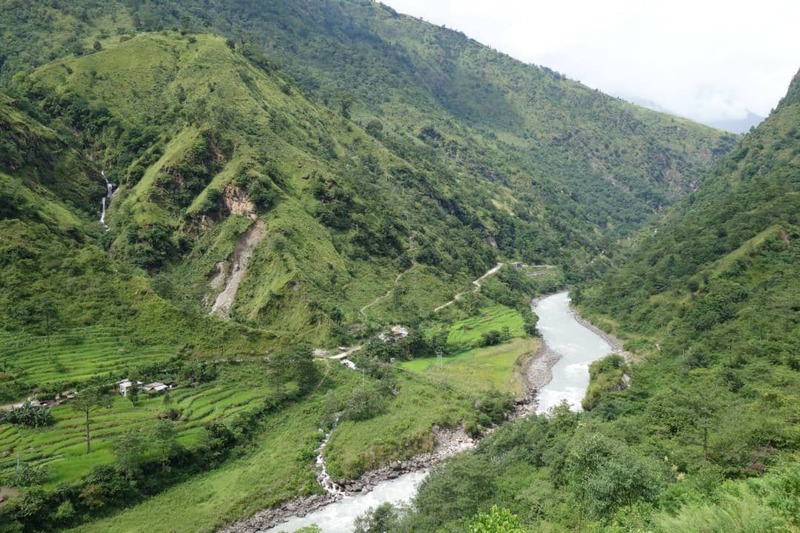 The trek sees you travel from lush green jungle and farming areas through to barren and rocky mountains. The paths can be wet, muddy, slippery, rocky, dusty and lined with snow (depending on conditions). The Annapurna Circuit takes you through some of the most beautiful landscapes Nepal has to offer! It’s important to be prepared for all weather conditions. When you start your trek, expect the weather to be hot and humid. As you go higher, it gets cooler. You’ll likely start in shorts and a t-shirt and finish in a jacket and pants. Layers are your best friend! Expect to be challenged both mentally and physically. After-all, this is all part of the fun of completing the Annapurna Circuit! The Annapurna Circuit winds its way through towns with plenty of accommodation on offer. The guesthouses have basic rooms. They often have power outlets, and occasionally have attached bathrooms with western or squat toilets. Generally, they will have a cozy and welcoming common area with a fire and good company. Wi-Fi is available, though it is limited, and once you’re higher than Manang, it’s pretty much non-existent. 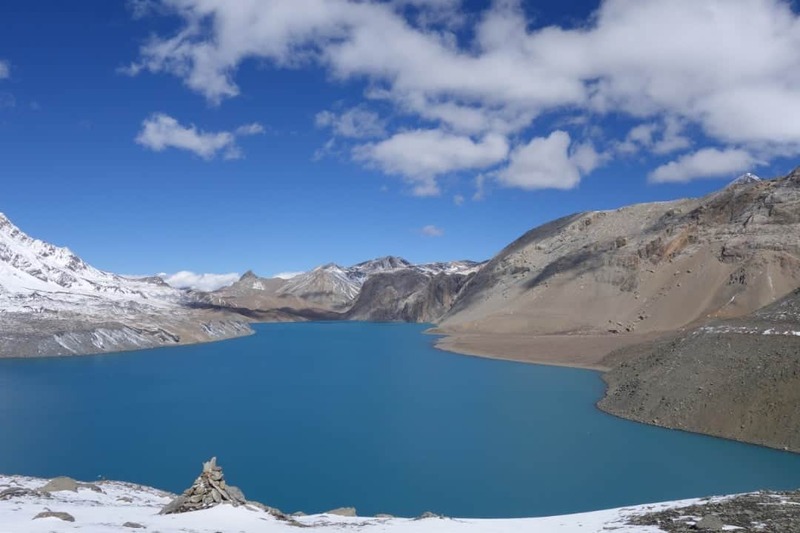 During peak periods guesthouses can get full, especially at popular stops like Manang and Tilicho Lake. This is important to keep in mind if you’re arriving late in the afternoon. We saw people sleeping in the common area at Tilicho lake! Accommodation can be pretty basic, but the views are epic! Room prices range from 100 – 300 rupees/$1-3 per person. As mentioned previously, during our trek we didn’t pay for accommodation after the first night until Jomsom. The guesthouse owners were happy to accommodate our group as long as we ate all of our meals at their establishments. In saying that, we were a group, whereas other people we spoke to had been paying for accommodation. You will find small shops dotted along the trail and in small villages you pass. Be aware that goods get more expensive the higher you go. I initially packed the below snacks. In the end I only needed 1 pack of granola bars instead of 2. The peanut butter was a nice snack but could have been left behind. The Snickers were a great source of sugary energy! Make sure you stay hydrated! 1 litre of water in Kathmandu may run you 25 rupees or 25 cents, though further up the trail it is not unusual to pay 150 rupees/$1.30 per litre. You can however save money by using your water purification tablets or fill up at reliable water stations available throughout the trek. The meals on the trek are basic with choices ranging from porridge, pancakes, and eggs for breakfast. For lunch and dinner, you can generally choose between Dahl Baht, fried potatoes with mixed vegetables, or a pasta dish. The great thing about the Dahl Baht is that it comes with unlimited refills, which is great after a day of hard trekking! You’ll even see t-shirts for sale touting “Dahl Baht 24:7 Power” which is definitely true. Meal prices typically range from 300 – 950 rupees/$3 – $8.50. 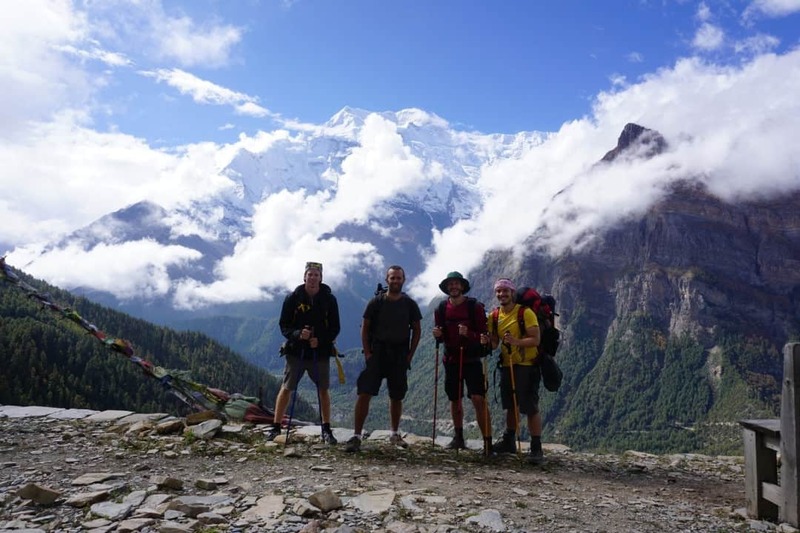 Whatever obstacles you encounter, however long it takes you, completing the Annapurna Circuit will be very rewarding and something you will always remember. For me, this trek has been the highlight of my year of traveling. There’s a tonne of other great places to go trekking in the Himalaya, such as the peaks of Bhutan or the forgotten mountains of Pakistan. But for pure beauty and easy access, it’s hard to beat the Annapurna Circuit! Our group after a 300-metre ascent! Rob is a freelance writer and the Co-Founder of Simply Travelled. Simply Travelled is a travel blog that encourages people to take a LEAP! An adult gap year, career break, sabbatical – call it what you will. Rob believes that you gain so much from taking an extended break, and wants to pay it forward by offering his top travel tips and advice to everyone interested. I’m planning to walk the circuit Besisahar /Manang/Jomson thru’ Gandruk to Pokara, in March 2019. Has anyone recently completed the circuit who can provide current information about how much road walking is now required? Hi, thank you for the useful information. We’re going to do the trek in November and one of our questions is the availability of rooms in teahouses in this busy period. Have you heard of trekkers who had to spend their nights under the stars cos there was no more room availability in the rooms and common areas? 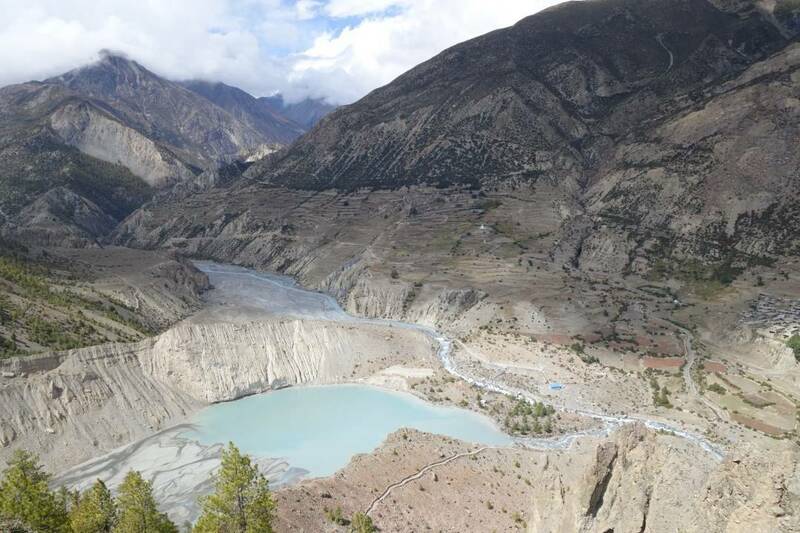 Thank you Rob for this inspiring and useful article about Annapurna Circuit. I trekked in Nepal (Rara Lake) in 1991 when I was 39. Since then, I wish to trek The Annapurna Circuit. I am now 65 year old and its time to go go back before too late 🙂 I will be there this November 2018 /21 days, yéyéyé! I would like to trek alone (no guide, no porter, no friends) . Trekking is meditation for me! I do not want to carry more than 8-9kg so do I need a sleeping bag or Guest Houses will provide warm bedcover ? Can I find bottle of water everywhere alone the trail ? Is it safe trekking on my one knowing there is plenty people around for security reason (I am in pretty good shape) ? When you get to the area, chat to the tour companies and see which is the best way for you to do the trek. If you need, you can hire a porter to carry your things and your are giving a job to a local person. All the best and have a great time. Glad to hear about Nepal from you. Thank you so much. What you have done to the other tourist I really appreciate it. You have given an idea to other travelers that are good. but I am really disappointed with your idea of keeping the price on the website of what have you done. the personal deal while you travel should not be on the public. the local people have been living their life at the base of tourism. generally, people who have money come to travel to the local can get a bit of benefit from it. that is how they are spending their life. I am sorry your information making traveler more backpackers than now. Hi Shreeram, thank you for your comment. This is a guest post from a person who did a hike there in Nepal. We ask people who write for us to be honest and provide information to help our fellow travellers. I understand where you are coming from but travellers do understand prices can change over time. Thank a lot for sharing this comprehensive and detailed information about this wonderful trek! I went to this trek last year on the monsoon season and had been reading articles about this trek ever since. It’s an unforgettable experience. Thanks Rob and Alesha for a great story about Annapurna Circuit Trekking. Rob & Kim wrote a great post for us. We can not wait to hike the Annapurna Circuit. Thanks for sharing this with your readers guys! If anyone has any other questions, please don’t hesitate to reach out…happy to help.